Yesterday, I was listening to a talk on spices at a seminar and thought to myself – how lucky we Indians are, to have such a wide variety of spices in our cuisine. 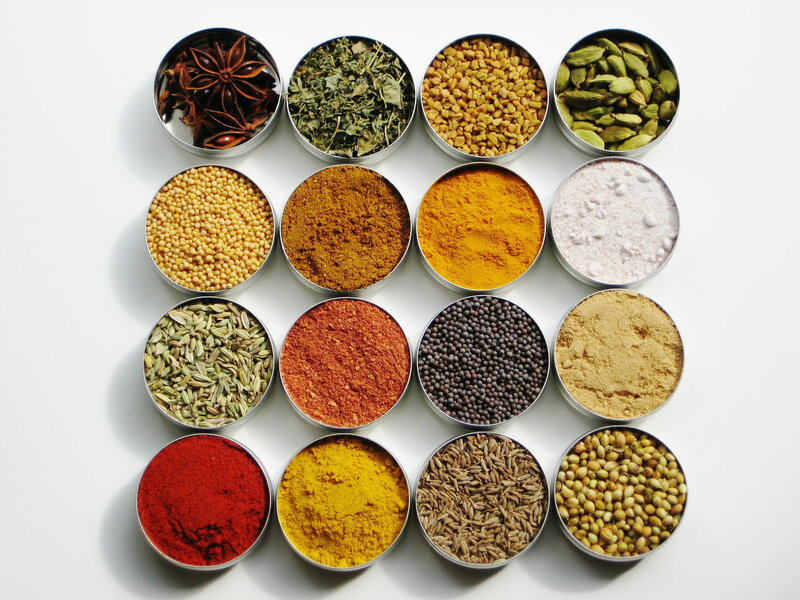 It’s hard to imagine an Indian kitchen without turmeric, ginger, garlic, mustard, cumin, coriander and many other spices. Spices not only aid digestion but also have a protective effect on health. The innumerable antioxidants present in spices guard us against a host of diseases. However, this protective effect is possible only in tandem with a healthy lifestyle. 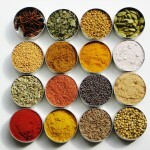 Several studies have been conducted in India on spices and health. Turmeric, ginger, garlic and capsaicin (which is the active component in chilli peppers, capsicum and other foods of the same family) have found to be beneficial for many health problems. Contrary to popular belief, spices do not cause ulcers by themselves. Although spices offer benefits in healthy people, there’s little they can do in those who already have a disease condition. Do continue to use spices in your cooking. Don’t forget to season your dishes! 0 Comments | Posted by admin at 6:08 am. Leave a comment! Is Cooking Oil The Taste Provider In Your Dish? Yesterday, I delivered a talk on nutrition and wellness to a group of engineers in Calcutta. While talking about fats and oils, one person in the audience said that Bengalis use a lot of oil because it gives taste to the food; so it’s difficult to reduce oil intake. In response to this, another person in the audience narrated her learning – She watched a cookery show on television by the celebrity chef Sanjeev Kapoor. During the show, the chef noticed that a participant used a lot of oil in her dish. When the chef asked her why, she said that oil enhances the taste of the dish. 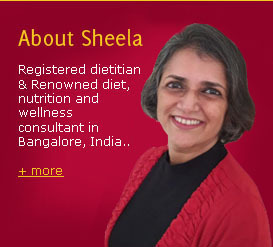 Then Sanjeev Kapoor asked her if oil is tasty, can she eat oil as is? The participant replied in the negative. The chef responded that oil is not the taste enhancer. I agree with this statement. Oil does not provide the entire taste to a dish. Taste comes from herbs, spices, fresh ingredients, etc. Fortunately Indian cuisine uses a large variety of spices which enhance flavour of every dish in which they are added. So, cut back on your total fat / oil intake for better health! 2 Comments | Posted by admin at 2:27 am. 2 comments already! Sometimes referred to as the trinity of flavor, 3 spices that we cannot do without are ginger, garlic and chillies. And this I write from the chilli-land of India – Andhra Pradesh. I wonder if any other state in India can beat the Andhraites in the intake of chillies! What’s great about the spice trinity is that all of them are rich in antioxidants. Garlic has cholesterol lowering properties as well as helps to remove excess phlegm from the body. Ginger reduces nausea and also provides vitamin C, magnesium and potassium. Chillies (dry red or fresh green) provide vitamin C, beta carotene and magnesium. It makes sense to include these spices in your diet regularly, but in restricted quantities. They can be added to salads, sauces, soups, masalas, chutneys and gravies. 0 Comments | Posted by admin at 3:14 am. Leave a comment!